The Osmio Chlorplus Whole House FIlter System is designed for chloramine removal for the whole house or can be used for any point of use (i.e. under sink).Chloramine is commonly used in low concentrations as a secondary disinfectant for mains tap water treatment, as an alternative or in addition to regular chlorine disinfection. 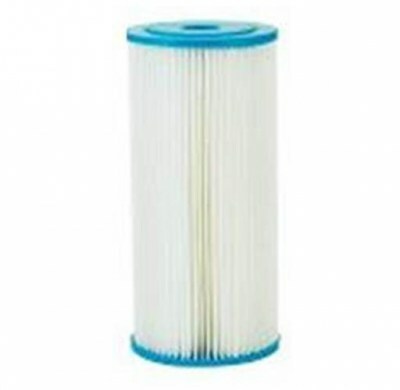 Standard activated carbon filters are not effective at the removal of chloramine because they require a very long contact time (meaning the amount of time the water is exposed to the filtration media at the current flow rate), which means a large volume of carbon is needed. For thorough removal, up to four times the contact time of catalytic carbon may be required. 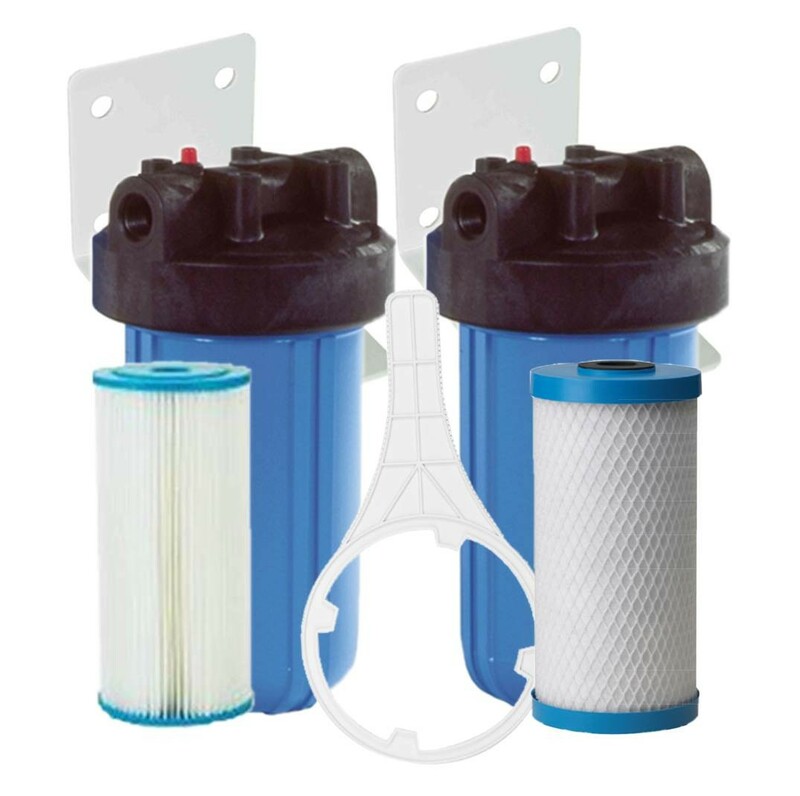 The first filter in the full system is a 5 micron pleated sediment filter which filters particles and sediments to 5 micron, an effective pre-filter to protect the Chlorplus filter. This cartridge uses a chemically resistant pleated polyester media which provides increased surface area and longer life and the benefit of being cleanable and reusable. This system comes supplied with 2 full flow blue housings with 1" BSP female ports, brackets with screws and large housing spanner. Full dimensions for these housings can be found in the section below. 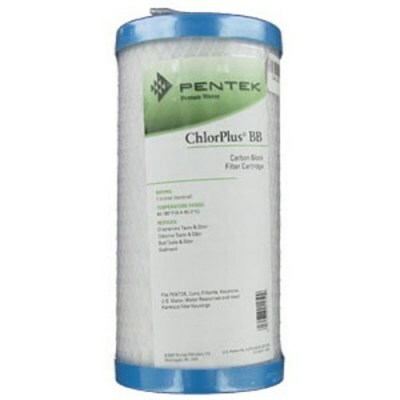 Pentek ChlorPlus-10BB 4.5 x 10 Inch Chloramine Filter: 10" filter length with a 4.5" Diameter.